When you are in need of a new, high-quality, cost-effective and exceptional performing variable speed pump, don’t turn to other big names in the industry – turn to Phantom Pumps. Phantom Pumps manufactures a full line of self-priming centrifugal pump models that cover a broad range of industrial applications including dewatering, wastewater treatment, irrigation, chemical processing and more. We design and manufacture all our pumps to meet and/or exceed industry standards, and we back them with one-year warranties. For quality assurance, each centrifugal pump in our line is always assembled, tested and packaged in the United States. Our pumps are ideal replacements for many of the worn-out variable speed models in use at processing facilities using industrial applications because all of our Phantom Pumps centrifugal pumps are compatible and interchangeable with various models manufactured by well-known pump companies such as Gorman-Rupp, ESCO Pumps, Durco and All Prime. 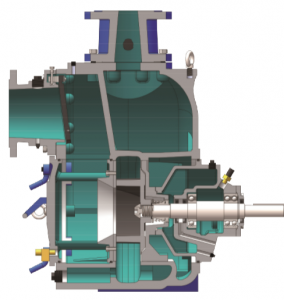 Our slurry pumps, which are compatible with Warman AH-Series pumps, feature a patented design that has shown up to 7% efficiency gains and up to 700% longer component wear life than other leading brands. Our pump specialists and application engineers at Phantom Pumps can help you lower pump related costs at your processing facilities in Florida, Maine, Michigan, Mississippi, Texas and elsewhere in the Eastern US by recommending the pumps and replacement parts in our lines that are best suited as replacements for your existing variable speed pump equipment. Your local Authorized Phantom Pumps Distributor is your local source for equipment and parts, installation guidance and start-up assistance, technical support, and more. To request more information, technical data sheets or quotes, please contact one of our courteous and knowledgeable centrifugal pump experts at Phantom Pumps today.